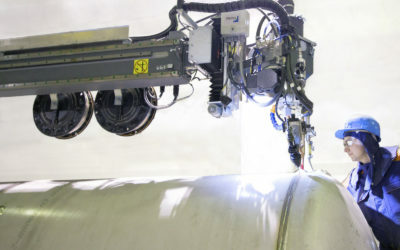 A world-renowned maritime company, STX France SA, gains higher capacity and maximum quality with innovative PEMA laser-hybrid welding system. 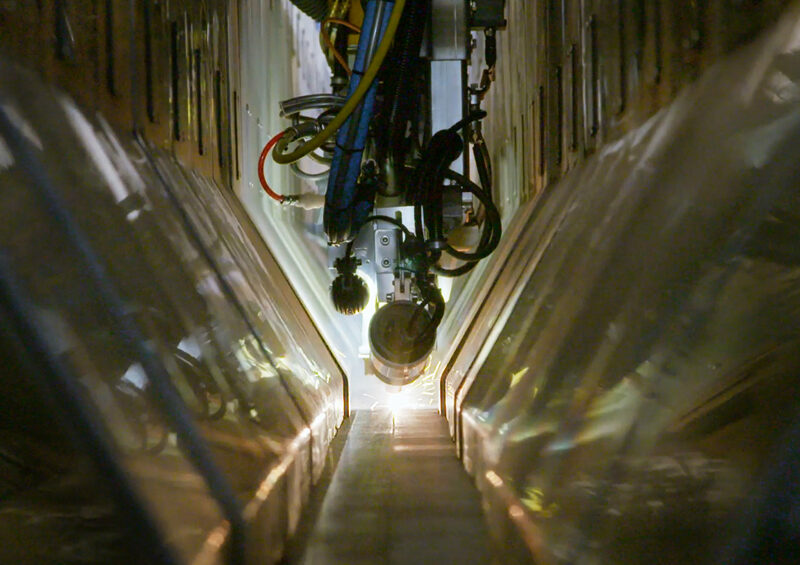 A good amount of orders requires higher capacity, loyal machines and flawless quality. To replace older machines which currently cause too much distortion and re-work. Efficient PEMA’s integrated one-sided laser-hybrid welding system and milling station. Higher capacity with less manhours. Precise manufacturing quality and minimized amount of distortion and re-work. 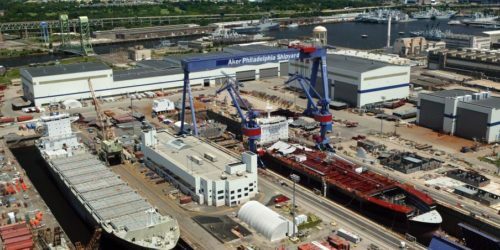 STX France SA, an expert in maritime construction and fleet service company, has been working on the Atlantic coast for over 150 years.  As one of the world leaders in its industry, STX builds one the biggest cruisers and commissions highly complex ships and offshore installations all over the world. – In May 2016 we delivered the biggest cruise ship of the World called Harmony of the seas to the company RCCL. The ship is 362m long and 66m wide, capacity is 6360 passengers and 2100 crew, tells Floret Camaret, Project Investment Manager, STX France. 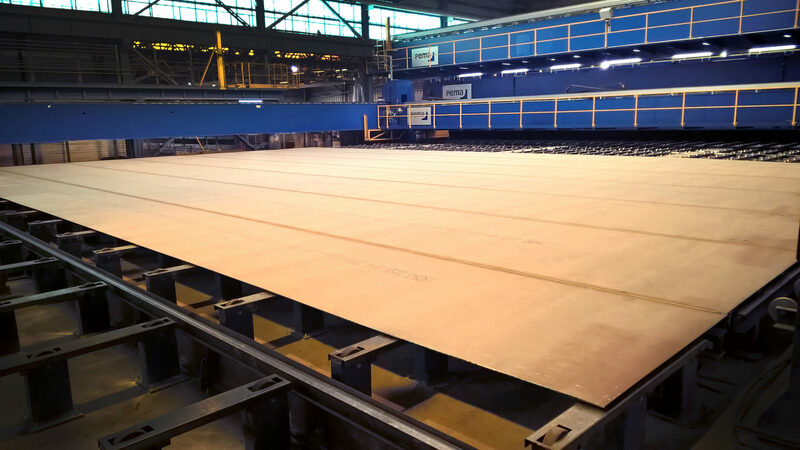 The French shipyard’s specific need regarded optimizing and boosting the process of deck panel welding. One of the main goals was to find a solution to eliminate deformations and work hours needed for fine-tuning. Also, due to a strong book of orders, STX called for more capacity, but also impeccable quality and faster performance combined with new technology. 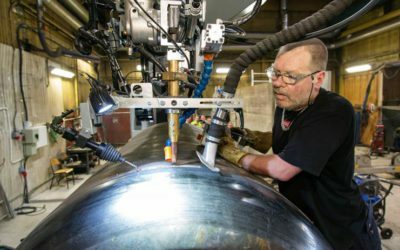 To maintain its expeditious pace in fleet building and to have more efficient equipment at the shipyard, STX France faced the need to modernize and replace its older panel welding and milling machinery. 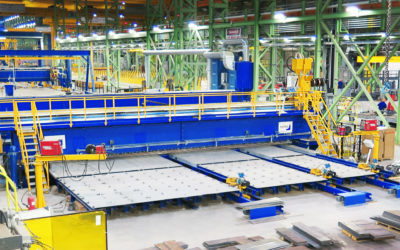 PEMA’s solution for STX’s needs was highly advanced PEMA M & OSW- LHAW 20200, integrated one sided laser-hybrid welding and milling station with extensive conveyor solution. 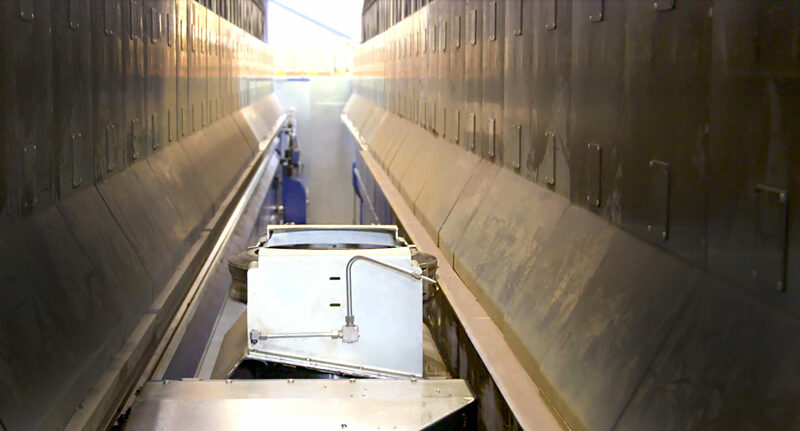 The demand was to minimize distortion for the deck panels and to eliminate excess hours of rework, so as a solution a heavy duty milling station was integrated in the machine. 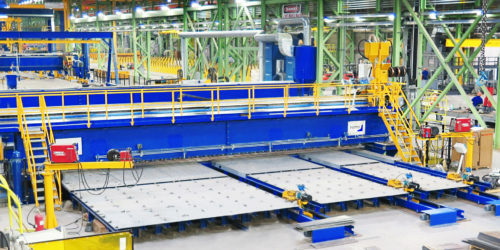 Additionally, in the core of the investment was that the machine could feed the two of STX’s already existing panel lines, and hence a special conveyor including PEMA technology was adapted to the system. -As the order book is full, it’s time for improvements and investments in faster and better quality processes. That’s why we invested in a machine able to make the work of three actual machines of the workshop, summarizes Camaret. In the beginning, the investment and needs considered only a renewal of their milling station, but as the negotiations and project charting proceeded, sustainability and long-time investment became prominent. 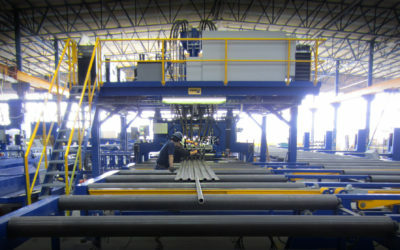 Thanks to PEMA’s innovative and unique solutions, such as, making welding of thicknesses up to 25 mm with one pass possible and integrating a special conveyor, the decision was made for Pemamek’s favor. During the sales discussions the teams from parties came up with an idea of integrating milling and welding process into one machine. The idea did not only support a more efficient way of working, but also provided safer working environment. 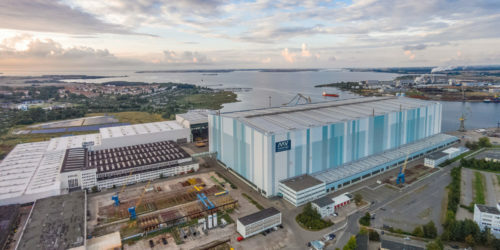 Thanks to a seamless mutual communication and collaboration between STX France and Pemamek, a tailored solution according to the specific needs was created and the massive project turned out great.